The age-old saying, “health is wealth,” is more than just a cliche. 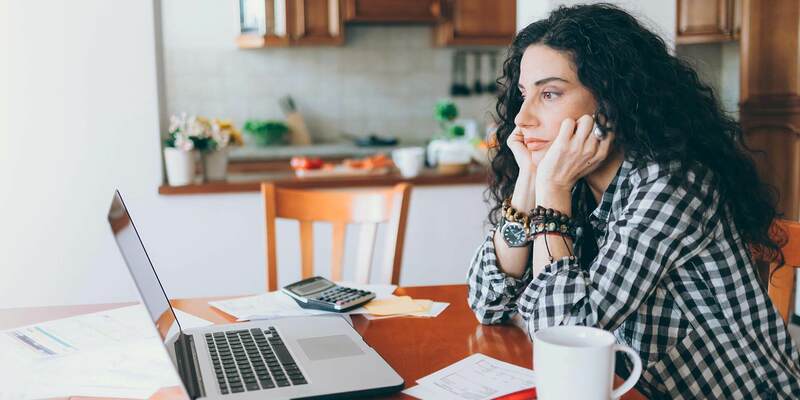 Researchers are finding more and more connections between finances and health, with symptoms that go far beyond stress. In a society that has tripled its debt since the 1980’s, heart disease, stroke, and mental illness are on the rise — and finances are partly to blame. Fortunately, taking strides to improve financial health also has benefits for physical and mental health. Many people report the physical problems they had with debt and poor credit were alleviated once they got financially fit. So pay down debt, improve your credit score, and build more savings — your body and mind will thank you. Click here to skip to the infographic. 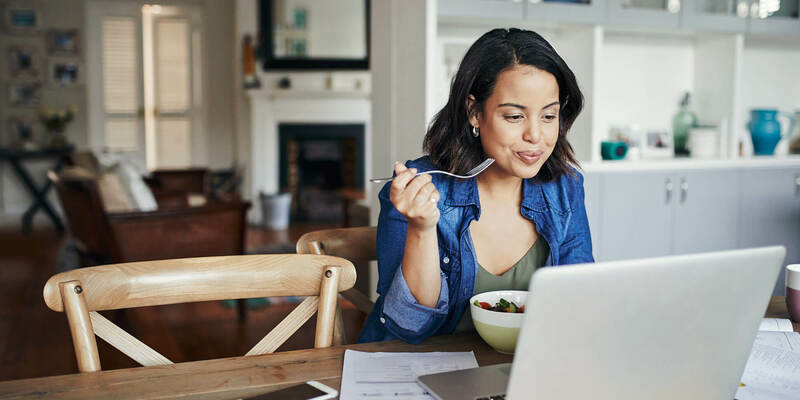 Part of a wellness-centered lifestyle should be paying careful attention to your finances and ensuring that you’re setting yourself up for a prosperous future. Here are some of the most common ways poor money management manifests itself physically. Remember that if you suspect you’re suffering from any health issues, regardless of cause, consider consulting a medical professional’s advice. High blood pressure is the precursor to a myriad of health problems, including but not limited to heart attacks and strokes. A 2013 Northwestern University study showed that adults ages 24–32 who had high debt had higher diastolic blood pressure. This is an age group that — money issues aside — should be in optimal health. When it comes to heart disease, we can’t help our genetic predisposition, but we certainly can make an effort to pay down debt as quickly as possible, which may be just as effective. Muscle tension, including back pain, was reported in over half of those with high debt stress. In addition, 44% had migraines or other headaches, compared to just 15% without debt stress. If you believe you’re suffering from tension due to money problems, consider coupling your financial plan with exercise like pilates, yoga, or simple stretches. The digestive system is often referred to as the center of health. When under heavy financial stress, many don’t follow regular eating habits. Healthy food may not even be accessible or affordable for those in financial trouble. In addition, 27% with high debt stress reported having ulcers or other digestive tract problems, compared to just 8% without. 56 million Americans have trouble paying medical bills, inhibiting many from seeking medical help even when needed. Nearly 1 in 5 Americans say they either considered skipping or skipped going to the doctor because of the inability to pay medical bills. With the rising cost of healthcare, it’s easy to fall into the cycle of debt, poor health, and then more debt. Focus on getting your finances in order so medical bills don’t destroy your credit. Money is so much more than paper and plastic. For many, it’s a way to feed a family, get an education, or improve overall quality of life. When financial health is poor, the psychological impacts can be just as damaging as the physical. Feelings of failure and doubt have the potential to turn into real mental illnesses. If you feel you struggle with mental illness, consider consulting a counselor or a free national hotline. If you have a lot of debt, or if you just lost a job, things can turn pretty bleak pretty quickly. 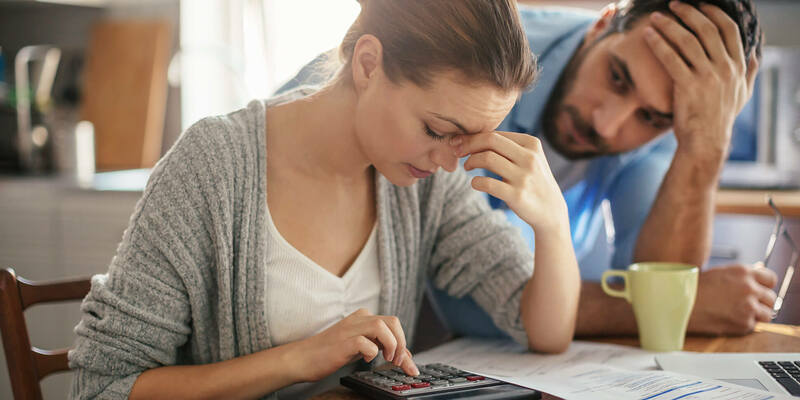 Feelings of despair are common — one study found 23% of those with debt reported having severe depression compared to just 4% without. Another found a 14% increase in depression symptoms with every 10% increase in personal debt. 29% of adults with debt suffer severe anxiety compared to just 4% without. Feelings of anxiety and panic caused by finances can be the catalyst for an all-around unhealthy lifestyle. 55% of adults in lower-income households say they handle stress through sedentary or unhealthy habits such as watching TV, drinking alcohol, smoking, and stress eating. The uncertainty of being able to pay bills keeps many people in a state of panic and fear. 35% of Americans are embarrassed to admit they have credit card debt, and 43% would feel judged if family or friends found out. The shame associated with poor financial standing can lead to isolation, which is often the beginning stages of serious mental illness. If you are struggling with money issues, reach out to a trusted friend or family member for help. You’ll probably learn that others struggle with the very same issues. As is the case with most hardships, there’s light at the end of the tunnel. When you become debt-free, you’ll get to enjoy the physical and mental benefits of the debt weight being lifted. Your mental space may be freed up to focus on other things, and your body may begin healing. Once you get through a tough financial time, you’ll come out stronger on the other end. 81% of people find other goals easier to achieve when their finances are in order. “Confidence turns on like the flip of a switch”, Says Chris Dlugozima, community relations coordinator for GreenPath Debt Solutions, adding that people even want to share their debt stories. "You become more open about it because you've gotten through the other side," says Dlugozima. "It's empowering." When you get financially healthy, the physical problems you experienced are likely to improve. Carole Stovall, a psychologist in Washington, says. “When people pay off debt, they’re going to say, ‘My stomach feels better, my heart feels better.’” Adding to this, 69% of people agree that if they have enough money to do everything they want, they are healthier eaters. A life well lived consists of finances well managed. While there are many things you can do to improve your physical and mental health — including exercise, eating right, cultivating meaningful relationships, and getting regular checkups — there’s no denying the science behind health and finances.